I cannot think of an easier dish to make than Shulbato. It’s dead-simple, tasty, and nutritious. You try it once and then you will be making it every other week, or at least this is what happened in my case. 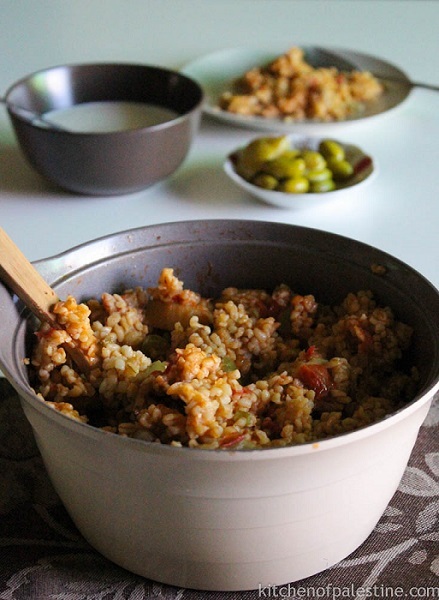 Shulbato is made of coarse bulgur, eggplants, tomato and green pepper cooked all together. It’s usually served as a side dish, but also can be a good main-dish option especially for vegetarians. Everyone has their own version of shulbato. Some replace eggplants with zucchini, or use rice instead of bulgur, others add cooked chicken or minced beef on the top, so it absolutely depends on one’s taste buds. In a pot over medium heat, sauté onion and garlic with olive oil for 3 to 5 minutes until softened. Add eggplants cubes and stir for another 5 minutes. Add tomatoes, green pepper, bulgur, tomato paste, cumin, cinnamon, black pepper and salt. Make sure to mix all ingredients together, then barely cover them with hot water. 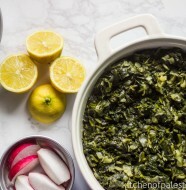 Cover the pot and bring to a simmer over a low heat for about 20 to 25 minutes or until completely cooked. Pour in a serving plate, add sliced almonds on the top for a crunch and parsley for garnish. 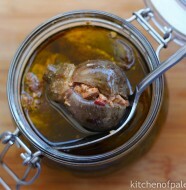 Serve hot with fresh yogurt and green olives on the side. 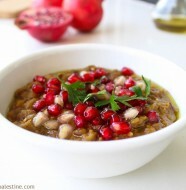 10 Comments on "Red Bulgur with Eggplant (Shulbato)"
What a lovely hearty dish – great to see a new recipe from you! 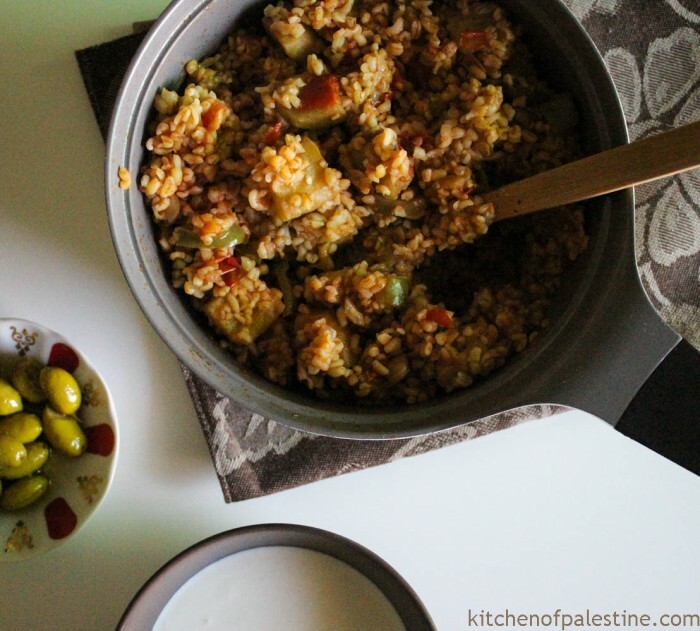 I thought you gave up…I am always eager to discover new palestinian recipes. Keep it up! thank you for sharing..will make soon…keep these fabulous Palestinian/Jordanian recipes coming,they need to be documented.. wow! !..I just made this per your recipe. I had never eaten it with eggplant…just usually burghol bil banadora,,. your recipe is so delicious…earthy yet aromatic and rich…exquisite from the eggplant and spicing..the only thing I changed was to peel and seed the tomatoes..thank you so much ! please keep these special recipes coming.. This is delicious, i loved it and so did my entire family. Thank you for sharing. Kitchen of Palestine is licensed under a Creative Commons Attribution-NonCommercial-NoDerivs 3.0. Kitchen of Palestine © All rights reserved.